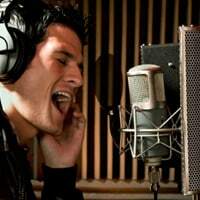 If you’re a singer, rapper, or any other type of vocalist, you should do everything in your power to ensure you lay down a good quality vocal when you step into that vocal booth. 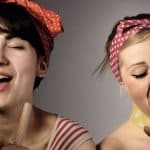 While being able to sing well on stage is one thing, there are a few additional things you will need to do to make sure you’re vocals sound good in a recording studio. In this guide I will show you what those three things are, and in effect help you produce a better quality vocal recording. After you’ve got your recording made, you can later move on to these steps. For now though, read on. Note: This guide was written by Omar Zulfi of PhatBootyEnt.com. This may not be the tip with the most wow-factor, but it’s an important one none the less. Before you go into the booth to record your vocals, practice it in-and-out. You should know your vocal part by heart, and it should literally become second nature for you to perform. You can really hear the difference when someone has practiced their vocals before recording. Your finished song will sound like it flows better, and you will be able to put more emotion into your vocals as you won’t have to focus on getting the right words out. Don’t learn your lyrics however, and this could lead to awkward sounding and emotionless vocals. So don’t turn up to the studio unprepared. Try this out. Once you’re happy with the lyrics you’ve written, practice the song to the instrumental track for at least an hour every day. It’s important you do this a few days before your studio session so you give your brain enough time to take everything in comfortably. Once you’ve got it memorized and no longer need your lyric sheet, keep practicing until you know the words in and out. The trick is to practice it as if you were performing it live for an audience. That doesn’t mean make it perfect, far from it. It means give it your all. But be sure to experiment with different tones, emotions, timing, etc. You’d be surprised how much this simple thing can help your actual recording session. Once you are ready to record, you’ll be able to nail the vocal without making mistakes and doing 20 – 30 different takes. Not only will you save a load of time, but you’ll also save money on recording costs as you’ll need less studio time to record each song. A great way to get your vocals sounding as hot as hell is to record multiple takes. By this I don’t mean to record a billion takes of the same thing because you want it to be “perfect” (If you followed Step 1, you wouldn’t need to do this anyway). What I mean is record several different versions of your vocal that you can use together to form one seamless vocal recording. 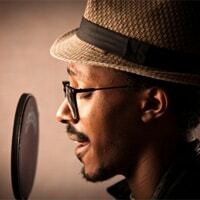 You should record lead vocals, adlib vocals, harmonies, supporting vocals and more. All of them should work together and play off each other. Just be sure to get the studio engineer to level each layer’s volume correctly so the finished vocal doesn’t start sounding messy. This is especially important when you record Christmas songs, as you’ll need to get them perfect if you want them to do well. Every vocal part you decide to record (lead, double, etc) should be done in 3 separate takes. That’s right, only 3. Give each take your all. Once you’ve recorded 3 full takes (you remembered to practice, right?) listen to each of them. Once you’ve done this process for each vocal track, put them all together and make sure they work right and don’t clang. You can achieve some really great depth to a vocal recording this way. This final stage actually plays very well off of Tip 2. When you’ve recorded and chosen all your vocal tracks and everything is sounding good together, you will want to adjust where the vocals sit, both together and in the overall mix. 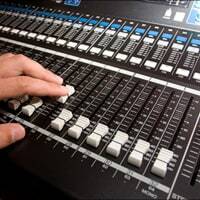 Head over to your DAW or recording / multi-tracking vehicle of choice, and start ‘messing around’ with some of the knobs (Get your engineer to do this if you’re hiring one). This is another simple thing some artists don’t think about which can drastically impact the final recording. Once you’ve got all your vocal tracks stacked on top of each other in your multi-tracker, bring down all of the individual vocal track volume faders. Mute out the instrumentals for now. Slowly bring up the lead vocal track to a volume you feel comfortable with. Test it against the instrumental tracks and make sure it fits well. It should not be difficult to make out the words, but it should also NOT overshadow the instrumental. Once you’ve done that, slowly bring up other vocal tracks one at a time. Do this first with only the lead vocal track unmuted. Get it sitting in a nice spot with your lead vocal. Then test it against the rest of the mix (the instrumental) and adjust where necessary. Do this for all of the vocal tracks until finally you are testing the entire vocal section with the instrumental playing. Make sure everything sites nicely and adjust as necessary. If you’re not feeling it, go back to zero and start over. You have to use your ears and judgment. If you’re still unsure, ask a engineer / friend / band-mate how it sounds. Next, mess around with the various panning levels on all of the tracks. You’ll usually want to keep the lead vocal in the center, but don’t be afraid of playing around with the other vocal tracks. It adds depth. Try hard panning 100% on some tracks, or only slightly panning on others. Experiment and play around until you hear something dope. If you follow these three simple tips, you’ll be amazed at what a difference it can make in your entire recording. A really great vocal can make a song shine and cause as much emotional impact as the instrumental. Try these tips for yourself and you’ll see. Omar Zulfi is a hip-hop artist, music producer and blogger from Canada. He often writes on the music business and music creation. Learn more at PhatBootyEnt.com and download the guide “How To Become A Singer or Rapper” for free. I love to sing and in a feature my dream is to be a singer and be famous.